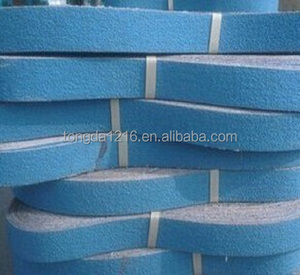 2 YRS Dongguan Qiangxingshun Abrasive Materials Co., Ltd.
5 YRS Luoyang Weixiang Abrasives Co., Ltd.
6 YRS KGS Diamond (Guangzhou) Co., Ltd.
11 YRS Zhenjiang Xinya Grinding Tools Co., Ltd.
Zirconia oxide abrasive sanding paper roll Material : Zirconia oxide ,open or closed coated,resin over resin binder,E-F paper backing . Application : With electric tools ideal for smoothing for solid woods , paint on wood and metal. Can be used with manual and automatic sanders with narrow and wide belts. 1 YRS Sichuan Matrox Epoch Technology Co., Ltd.
4 YRS Nantong Jiayuan Hardware & Electrical Co., Ltd.
5 YRS Linyi Dongtai Abrasives Co., Ltd.
16 YRS Jiangsu Fengmang Compound Material Science & Tech Group Co., Ltd.
10 YRS Foshan Shunde Qiersheng Grinding Material Co., Ltd.
1 YRS Henan Restar Abrasive Technology Co., Ltd.
WX713-2 Abrasive Sandpaper Emery Cloth Roll Restar offer a wide range of Abrasive cloth rolls for the different industries. No matter you're the end user or the distributor, you'll find your perfect choice here. If slit into small rolls, it could also be packed with standard carton as per your request. 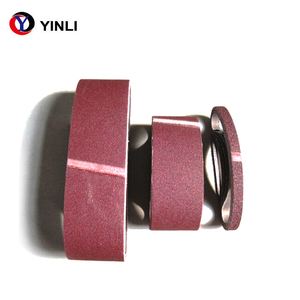 13 YRS Xinyi Zhangshi Abrasives Development Co., Ltd.
9 YRS Yangzhong Shi Lifeng Emery Cloth Co., Ltd.
Aluminum oxide has the greatest variety of uses among the coated abrasive minerals. It is the toughest of the grains and its toughness gives long life while its sharpness delivers a fast cut. 3. As the fact of first point, the price quoted for you shall be more competitive than others , if doubt, please contact us! 2 YRS Shanghai Jing-Cheng Industrial Co., Ltd.
4.Resist moisture and heat. 7.Resists clogging during use. 8.No risk of color transfer. &clubs; High Quality Well-trained workers and more than 10 years experience. &clubs; Short Lead Time Being efficient:3-7 days for samples and 10-35 days for quantity orders. &clubs; Flexibility Small orders are acceptable for quick delivery and to help you reduce stock cost. 4 YRS Xingtai Abrasives (Fujian) Technology Co., Ltd.
YOU CAN PLACE A TRIAL ORDER TO EVALUATE THE PRODUCT QUALITY. 2) ARE SAMPLES AVAILABLE FOR QUALITY TEST 9 YES. FREE SAMPLES CAN BE PREPARED FOR QUALITY TEST. 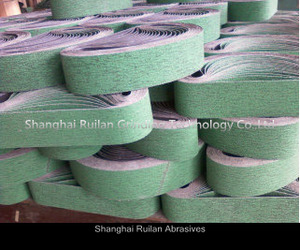 Alibaba.com offers 9,318 abrasive belt roll products. About 13% of these are abrasive tools, 1% are paper processing machinery, and 1% are material handling equipment parts. 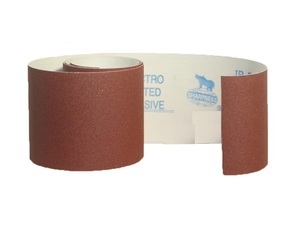 A wide variety of abrasive belt roll options are available to you, such as sanding paper, abrasive block, and abrasive disc. You can also choose from free samples, paid samples. 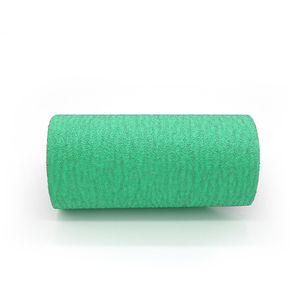 There are 9,318 abrasive belt roll suppliers, mainly located in Asia. 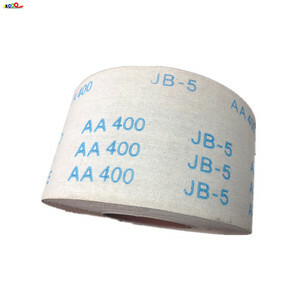 The top supplying country is China (Mainland), which supply 100% of abrasive belt roll respectively. 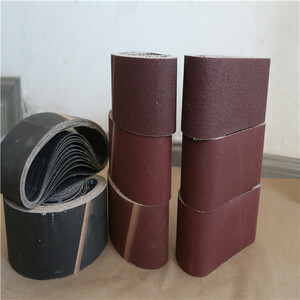 Abrasive belt roll products are most popular in North America, Domestic Market, and South America. You can ensure product safety by selecting from certified suppliers, including 741 with ISO9001, 489 with Other, and 200 with ISO/TS16949 certification.